In March, Canberra was named Australia’s most liveable city, scoring highly in design, cleanliness, outdoor recreation, education, and safety. This was in a survey of residents conducted by the Property Council of Australia. Now data collected by the Organisation for Economic Co-operation and Development (OECD) shows that the Australian Capital Territory has the highest levels of well-being in the country, with perfect scores for income, safety, and civic engagement, and near-perfect scores for health, jobs, education, and access to services. The OECD report highlighted the differences between regions in member countries, and unfortunately the report showed that Australia had the greatest regional inequality of any OECD country, with Tasmania doing the worst in terms of income (6.1 while the ACT is 10). And while the ACT scored 9.9 for health, and 10 for safety, the Northern Territory received 4.1 for health, and a truly dismal 1.4 for safety. Because the OECD was examining the regions of each country separately, it also shows that the Australian Capital Territory is performing extremely well on a global scale – in fact, it is officially the best place to live in the world, with Canberra coming first, then Western Australia second, followed by three regions in Norway. (The study also showed places similar to the ACT were western Norway, Stockholm, New Hampshire, and South-East England). However, even though the ACT is, we now learn, the greatest place on the planet, it probably won’t lead to millions of people flocking there in search of cleanliness and safety. Not only because there isn’t the infrastructure for millions of people, but because Australians love to despise their capital as cold, boring, sterile, and full of politicians. As a result, when people move to Canberra, especially those who have come from other countries, they are often pleasantly surprised to find themselves in a setting of great natural beauty, within easy driving distance of both the beach and the ski slopes, and, well, somewhere generally safe and clean and all those things which sound boring, but are actually nice to have. Most of the Australian Capital Territory is taken up with national parks, which is why it is called “the bush capital”, and so I am covering two names from the mountains of the ACT region. Mount Franklin is one of the higher mountains in the Brindabella Ranges, on the border of the Australian Capital Territory and New South Wales. The mountain’s summit is on the ACT side, and it is 1646 metres (5400 feet) high. It was once the hub of Canberra’s ski community, and it is still open for cross-country ski-ing, snow play, and bush walking. Mount Franklin is close to Brindabella Station, which was built by the pioneering Franklin family in the 19th century. It was the childhood home of the famous author and feminist Miles Franklin, whose autobiographical novel My Brilliant Career tells of a spirited young woman growing up in rural New South Wales. Under the pen name Brent of Bin Bin, she wrote a series of novels about a station called Bool Bool in the mountains of south-eastern New South Wales, based on Brindabella, and in later life, she wrote a memoir called Childhood at Brindabella. Brindabella Station is still a working farm, and it is possible for visitors to stay on the property. The station is named after the Brindabella Range itself, part of the Australian Alps which can be seen to the south-west of the capital. The Brindabellas are often taken for granted by Canberrans, but they are beautiful in their diversity, from imposing high crags in the mist, to rolling farmland nestled snugly in sun-dappled valleys between dark forests. The play of light and cloud never stops moving across the ranges, and each day in the mountains seems to end with a spectacular sunset. The name Brindabella is said to mean “two hopping mice” in a local Aboriginal language. Hopping mice are native Australian mice with long tails, large ears and strong back legs; they can hop about just like a rabbit or a kangaroo. Another theory is that brindy brindy meant “water running over rocks”, and that Europeans added a -bella at the end, to suggest “beautiful”. Franklin is an English surname, which doesn’t denote an occupation so much as the person’s social status. In medieval England, a franklin was a free man – one not in servitude to anyone. It came to mean someone who owned land, but was not a member of the landed gentry or aristocracy. The franklin was the beginning of an English middle-class: those who owned property, and could even be quite well off, yet were not of noble lineage. The word franklin comes from the Latin francus, meaning “free”, which is the origin of our English word frank, meaning “free, liberal, honest”. You might remember that frank comes from the Germanic tribe of the Franks, who conquered Gaul, which was named France in their honour. The country’s name was the inspiration for the name Francesco, so Franklin is a linguistic relative of the names Frank and Francis. Franklin has been used as a boy’s name since the 17th century, and it has been used more often in the US, where it has never left the Top 1000. One of the name’s most famous namesakes is inventor Benjamin Franklin, one of the Founding Fathers of the United States, and another American namesake is the president Franklin D. Roosevelt. 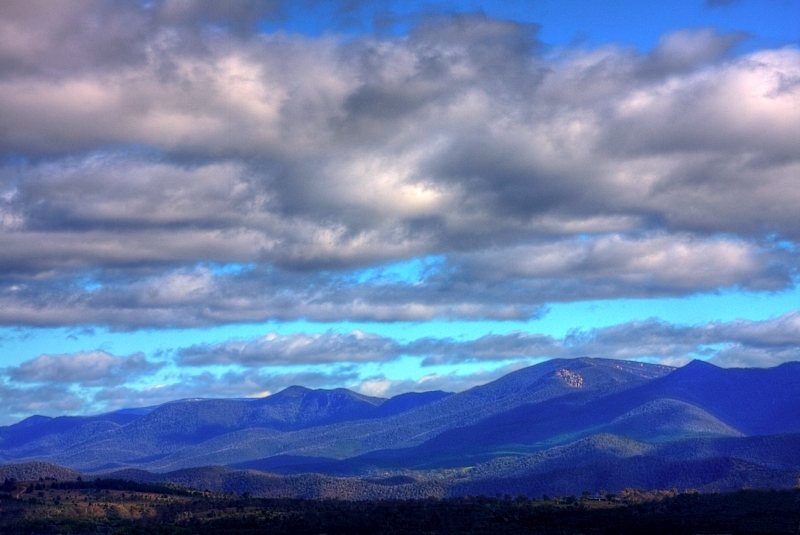 Franklin and Brindabella seem like names which might appeal to those who love the outdoors, especially the mountains. At the same time, they might equally find favour with those who love Australian literature, and may be especially meaningful for those who have a connection with the area around the Brindabellas. Although neither of them have ever charted in Australia, their short forms are on trend, because Franklin can be shortened to the fashionable Frank or Frankie, while Brindabella naturally shortens to popular Bella – although Brin would not sound strange as a nickname. You may recall the American-born triplet with a Canberran father named Brindabella, and I have also seen a baby named Bryndee-Bella, in apparent allusion to the mountain range. Franklin received a very good approval rating of 74%, but people were far less enthusiastic about Brindabella, with an approval rating of 20%, making it the lowest-rated girls’ name of 2014.